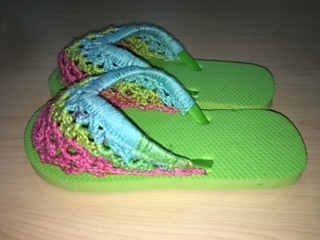 This pattern starts at the top of the slipper then is joined from the bottom. It uses a simple shell stitch. 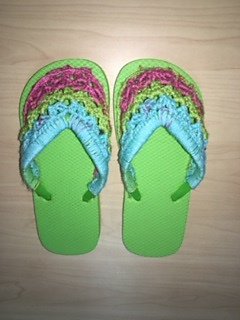 Errata - forgot to mention on the PDF version of the pattern that you are to trace around the flip flops onto the fun foam to make the outer soles.